COLUMBUS—Ohio Senate President Larry Obhof (R-Medina) today called for additional reforms of Ohio’s regulatory environment. He was joined by Dr. James Broughel of the Mercatus Center at George Mason University, who recently completed a study on the number of regulatory restrictions the state imposes, and Robert Alt, President and CEO of the Buckeye Institute. The Mercatus Center has studied the regulatory environments of 22 states so far as part of its ongoing “State RegData” project. Their study concluded that Ohio is one of the most heavily regulated states they have analyzed, trailing only New York and Illinois, and far surpassing the neighboring states of Michigan, Pennsylvania, Kentucky and West Virginia. 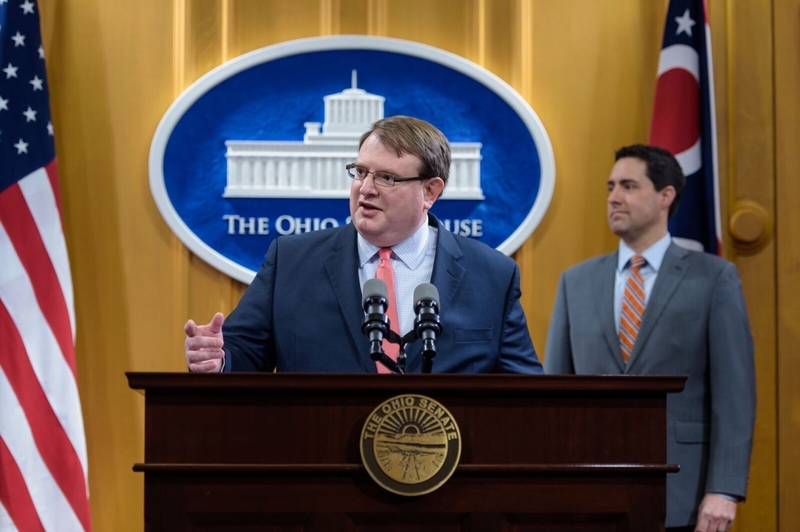 "With more than 246,000 regulatory restrictions on the state's books, policy makers in Ohio should be considering regulatory reform as a way to boost growth," said Dr. James Broughel of the Mercatus Center. Allowing for a more thorough review process of which regulations are effective and which are outdated or duplicative. Setting a reduction goal to bring Ohio more in-line with the national average, and consider placing a cap once that goal is achieved. Consider eliminating two rules for every new one that is created for the next three years, or until the reduction target is met. The NFIB, Farm Bureau, Ohio Society of CPAs and others supported Obhof's call for additional regulatory reform in Ohio. Their statements can be found here. Today’s press conference and presentation by the Mercatus Center is archived on The Ohio Channel. The Mercatus study "A Snapshot of Ohio Regulation in 2018" can be found here.